Thanks to Martha for creating this cool fundraiser image to recognize Michael's upcoming 40th birthday and the fundraiser honoring him, and supporting The Bike Experience. This year's fundraiser has started off very slow, but I'm hopeful that with this week being St. Patrick's Day on Friday, and Michael's next film, Song to Song, being released on Friday also, will help boost support for the fundraiser this week. It's so important that we keep the momentum going because it helps encourage others to support the fundraiser as well. When people see others giving, they will give too. So please donate this week to help get the fundraiser on track to its goal of raising at least £1,000 by the end of the month. Like in the past, all who donate will be entered into a raffle where the grand prize winner will be announced on April 2, Michael's birthday. And all donors will have their names added onto a birthday card fundraiser greeting and sent to Michael's representative. It is a one page announcement listing all donors and a birthday message to Michael. With this being his 40th birthday, it will be a most special message to recognize this milestone in his life. Just Giving accepts payments through Paypal which makes it easier and more convenient than years past. But if you encounter any donations problems, please let me know via email and I will work with you to get your donation processed. You can also donate anonymously for privacy. 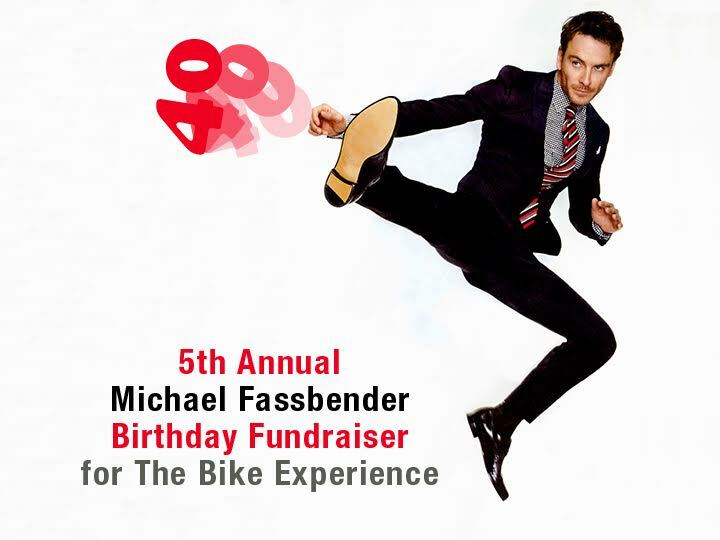 Thank you for supporting this year's fundraiser to honor Michael and to help disabled persons experience the thrill of riding a motorcycle!